Unauthorized or otherwise improper changes to managed servers can cause major disruptions to system processes and user activity. Manageability, security and compliance require that every change be properly documented and communicated to all team members. 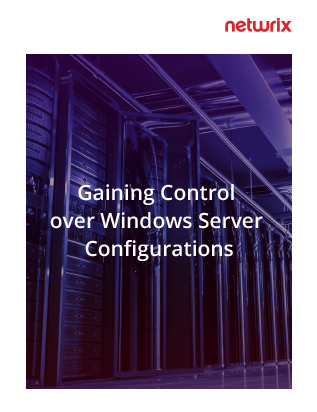 This white paper explains why continuous monitoring of Windows Server configurations is critical for security and compliance, and explores your options for effective auditing.